Please forward to friends to keep them updated about Community Foundation activities. Every fall for the past several years, Sarah Maiers, Community Foundation of Johnson County Board members and Grant Review Committee chair, has been instrumental in organizing and helping prepare for the "Planning for the Best" seminar. PFTB will be held Wednesday, Nov. 4, from 8 a.m. to 1 p.m. at the Sheraton Iowa City Hotel. The estate and tax planning seminar, co-sponsored by US Bank, McGladrey, Simmons, Perrine, Moyer & Bergman, University of Iowa Foundation and the Community Foundation of Johnson County, is designed for financial and estate planning advisers working with philanthropic clients. Continuing Education Credits (approximately 4 hours) will be offered. To register for the PFTB visit https://www.eventbrite.com/e/planning-for-the-best-2015-registration-17712168573 or email julie.a.nieland@usbank.com. Sarah Maiers service to the Community Foundation of Johnson County spans more than half of the organization’s 15 years. Her supervisor, former US Bank President and CFJC Board member Bill Burger, urged Sarah to become involved with the nonprofit organization. Her service began on the Grant Review Committee. Now she co-chairs the committee. 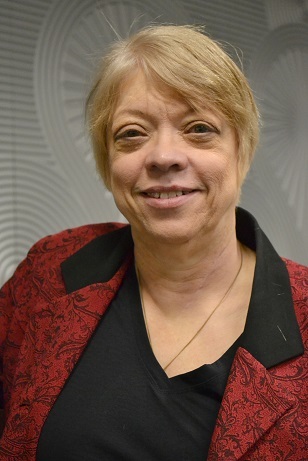 She filled an unexpired board term, and is in her second term on CFJC’s Board of Directors. Next year, she will serve as CFJC’s President. CFJC employs a sprinkle approach to fund each of the five grant categories (Arts / Culture / Humanities; Education; Environment / Animals; Health / Human Services; and Public / Social Benefit). “All are so import to the well-being of our Johnson County community,” Sarah adds. 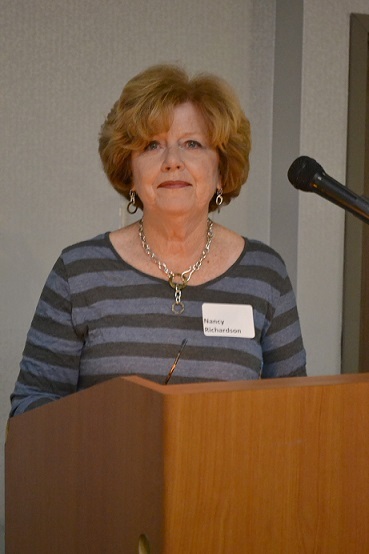 A native Iowan, who has lived in the Johnson County area more than 40 years, Sarah guided the committee’s deliberations to award 56 grants totaling more than $250,000 for the 2015-2016 fiscal year. In phase one, the Grant Review Committee scores and ranks the applications. In phase two, staff discusses grant application funding with affiliates and partners. In phase three, co-chairs and team leaders make allocation decisions and send the recommendations to the CFJC Board for approval. Before beginning a nontraditional approach to education, first at Kirkwood Community College becoming a legal assistant, Sarah worked for Oral B for 13 years. She completed a B.A. at the University of Iowa, majoring in political science and communications and earned a J.D. from the UI College of Law. Sarah practiced law for several years before joining US Bank where she is Managing Director of Personal Trust. Sarah and her husband live in rural Cosgrove. Their daughter and son-in-law have three children and live in Indiana. The Community Foundation of Johnson County hosted the Grant Award Luncheon at the Holiday Inn and Conference Center on Oct. 13. CFJC Board members and Grant Review Committee co-chairs Sarah Maiers and Nancy Richardson announced 56 grants awarding more than $250,000. Read more. CFJC Associate Director of Development Sheila Boyd announced three Community Fund Affiliates secured matching funds from the Community Foundation of Johnson County. Congratulations to Coralville, North Liberty and Tiffin for their commitment to grow endowment funds to serve the community! Community Affiliate Funds in Coralville, Swisher and Tiffin awarded more than $21,000 to their local communities through the CFJC grant cycle. The Tiffin Community Fund grant is highlighted below. TCF awarded a grant to Change a Child's Story. The grant, representing a partnership between the United Methodist Churches in the greater Iowa City area, Johnson County Empowerment and area schools, encourages literacy and hopes to break the cycle of poverty by giving new, age-appropriate books to children who may not have books at home. The grant also provides supplemental reading instruction for K-5 students who are reading below grade level using volunteer reading buddies. The Community Foundation premiered a second video at the Grant Award Luncheon summarizing the fiscal year completed June 30, 2015. Watch it now. Iowa City Downtown District opened a charitable giving fund at the Community Foundation of Johnson County to support a public feature in Black Hawk Mini Park. Artist Cecil Balmond, known for challenging industrial fabrications to make impossible forms seem a reality, uses mathematical concepts to influence forms. The installation, entitled “The Lens,” features twisting louvers functioning like an opening and closing eye on a tilted 30-foot circular disc and interactive circular seating. Contributions to Balmond Art Project – Pedestrian Mall, Iowa City can be mailed to CFJC, 325 E. Washington St., Iowa City 52240 or made online - visit www.communityfoundationofjohnsoncounty.org and click on the donate now button. Make a tax-free gift from your IRA. If you are 70½ or older you can make a tax-free gift by transfering up to $100,000 directly from your IRA to a fund at the Community Foundation. The transfer generates neither taxable income nor a tax deduction. Give cash. To document a cash gift of any amount, you must have a dated receipt from CFJC. A cancelled check provides sufficient documentation only for gifts by check if they are less than $250. Give appreciated securities. When you transfer securities to the Community Foundation you will receive a deduction and potentially a State of Iowa Tax credit for the full market value of the appreciated securities as of the date of the gift. This allows donors to eliminate all capital gains tax. Gifts of Grain may provide you tax advantages while giving to your community. A cash basis farmer avoids including the sale of the cash crop as income, and may deduct the cost of growing the crop which results in saving self-employment tax, federal income tax and state income tax. Copyright © *|2015|* *|Community Foundation of Johnson County|*, All rights reserved.